Romance Scam Checking Service | Find Out If Your Being Scammed! Online dating and romance has become a common thing nowadays. While there are people that have found love through online dating (you probably know some), its rapid increase in popularity over recent years has seen a dramatic rise in online scams. Not so long ago, it was embarrassing to find love online. Some people think that it is a clear sign of desperation. Some think that websites online are scams or people that will get only up to no good. But due to our world that is vastly moving, it can be challenging to find a partner. Fortunately, due to the innovation of our world today, more and more people are checking the internet for almost everything including love. 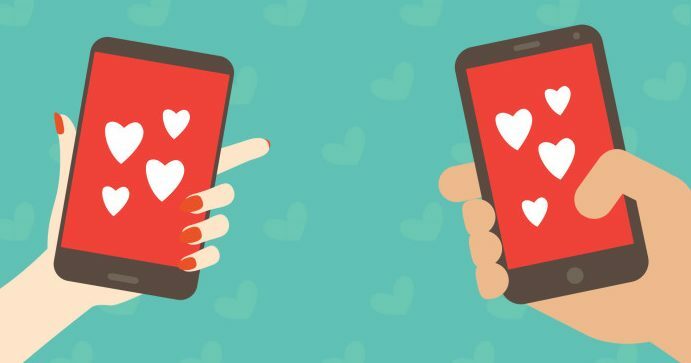 Scammers often join dating websites, social media, and as well as other dating apps and pretend to be someone who is interested in their prospective victim. They act on emotional triggers to get these victims to provide personal details, gifts, and even money. Once you have been lured in, they will start expressing their strong emotions for their victims and will request for you to start moving the relationship away from the dating website. They can either ask for their victims to do instant messaging, email, or phone. A majority of the scammers are claiming to be from Australia or the United States, but there are others who are claiming to be from other western countries. Once the scammer has gained your trust, they will directly or subtly ask for gifts, credit or banking card details or money. They may even ask for photos or videos of an intimate nature of yourself to use as blackmail. They will also pretend that they need money for emergency purposes or they are having a hard time dealing with their finances. Just in 2018 alone over $230,000,000 has been conned out of victims through dating scams. This can be life savings or retirement funds which is a shocking statistic.. The number of romance scams has more than doubled since 2015, according to the Federal Trade Commission. People are losing a lot of money through online romance and dating scams. Estimates indicate that in the US alone, of all internet crimes, online romance scams accounted for up to $230 million in financial losses. And because many victims are usually too embarrassed to report being duped and conned of large sums of money, these estimates may be grossly under-reported. It usually very difficult to recover any monies sent to online scammers, but by knowing what to look out for and the tactics these fraudsters employ, you can avoid falling victim. Now, in this post, we are going to discuss some of the most common tactics used by online dating scammers and how to spot and avoid them. Almost all online dating scams follow the same pattern. They all begin with some ‘hook.’ Often, the scammer (the would-be suitor) will make contact and use something in common or a common interest, for instance, religion or profession, to spark a romantic relationship. The relationship usually ramps up very quickly afterward. Christine Benning, an FBI agent, says that most of the victims are women aged 50 and above. Those that are recently widowed or divorced are ideal targets. This group of women easily fall victim because they believe that they do not have a good chance of finding love. They are, therefore, more vulnerable to these scams. Perhaps another reason these women easily become victims is that many are less tech-savvy and quite affluent. Once the victim is sufficiently groomed, they are tested. Initial tests are simple. They can, for instance, involve the victim sending some small amount of money, say, to help the would-be suitor fix their car. When things get a little bit more, ‘serious’ the scammer may ask the victim to send them things that could later be used against the victim. This can be some compromising videos or photos. The scammer will later use these to threaten the victim, especially when the victim is in some long-term relationship or marriage and wants to hide the online relationship. Sometimes, message histories can serve this purpose. As the online relationship gets deeper, the victim is eventually asked for large sums of money. Some are even asked to carry out illegal activities, and they may go ahead and do them willingly either because they are in love or because they’re being threatened. Surprisingly, in some cases, even when the victim realizes they are being conned, the scam continues because the victim is too embarrassed to tell family and friends or report to law enforcement agencies. There are also cases where the victim knows full well that they’re being scammed, but they are in love with the scammer. So they continue sending money. This shows the manipulative powers online dating scammers can have and the vulnerability of some of the victims they target. Some people assume that only the really ‘stupid’ people can fall for online dating and romance scams. However, this is far from the truth. These days, online fraudsters are very clever; by the time you know you are being scammed, you’d have lost a significant amount of money. Usually, online dating involves individuals creating profiles (which are often fake) on a dating website or some social media platforms. This is called catfishing. Some of the most common guises include medical professionals, aid workers, and military personnel because victims are more likely to trust individuals in these professions. In most cases, a scammer will create several profiles on different sites using stolen images. Fortunately, today, there are various online tools that can help you in case you are suspicious. You can, for instance, you can use a very useful service called Been Verified. Been Verified run total checks about anyone on the net and prove if they are real or not with a whole heap of real information. You can visit the website here or read more about Been Verified further down this article. Another common indicator that someone isn’t who they’re claiming to be is Poor English. This is especially the case if they are purporting to be university educated or from some Western country. If you have doubts, consider testing on knowledge of the area the person is claiming to come from. Note also that many scammers work in groups but pose as a single person. So changes in such things like grammar, use of emoticons, and tone can also be a red flag that you are potentially talking to a scammer. Scammers know how to start a conversation with you and spark a friendship. From your religion, hobbies, a line of work, etc., they will carefully pick information from your profile and use it to start a conversation with you. It does not take long before unsuspecting victims start divulging more information which the scammer uses to further the friendship or romantic relationship. In fact, some scammers will even adjust their profiles, so they are the perfect person you have looking for. Online dating and romance scam has become such a lucrative business that some people now write scripts for scammers for money. A UK woman was recently jailed for writing such scamming scripts. Some scammers don’t bother getting original content, so they lift such things as romantic poetry and verses from the internet. Fortunately, you can easily check such content online to find out whether or not they are used elsewhere. Scamming is often a full-time job for most of these fraudsters. And because they are usually trying to scam multiple people at a time, they are always rushing things. They don’t waste time. They will, therefore, ramp up the relationship quickly so that they can get to where they are now actually profiting. Not so long ago, a British man had only been in an online relationship for five weeks before he began sending money to his ‘partner.’ Before he knew it, he had sent around $290,000. It is very common for scammers to shower their victims with affection and love. They will message and even call constantly. This is called ‘love bombing.’ It is such a serious behavior that victims sometimes feel like they had been brainwashed. In most cases, especially when using some dating website, the perpetrator often asks the victim to move to some ‘more secure’ and private chat forum. It is advisable to keep your conversation on the dating website because most of them look out for suspect activity. This often starts very innocently. As noted earlier, a scammer will start asking for small amounts of money to fix their car, buy an elderly relative some food, etc. It then quickly ramps up. A common way of asking for money involves the perpetrator asking to visit the victim. They will then say they need some money for the flight and other expenses. In some cases, when the victim gets comfortable, the scammer can even ask for a large sum of money to start a business. Sometimes, it is medical costs or any other excuse. And the urgency of such demands often ramps up and may even start becoming threatening. Another common request for money involves sending money for some fees or charges in the pretense that a victim will be compensated with, say, an additional (usually huge) sum of money. Recently, one American woman was lured into sending $260, 000 this way. There is some good news though. Some companies such as Western Union are these days looking out for such cases because they are being held accountable by regulatory bodies for helping scammers. They are, therefore, becoming very strict on the money transfers they allow. Even so, it is always advisable not to send money or your banking details to an individual that you don’t completely trust. There are so many suspicious and potentially illegal activities that a scammer can ask a victim to do. For instance, they may ask them to pass some goods or money across countries. One British woman named Sharon Armstrong learned she had been scammed the hard way. The lady had agreed to pass a ‘contract’ from Argentina to the UK on behalf of her suitor. She ended up getting a two-year jail term in Argentina for trying to smuggle cocaine. If an individual is asking you to carry out any such suspicious activities, chances are they are fraudsters, and they will get you into trouble if you are not careful. Never send or receive any goods or money on behalf of people you do not know or don’t trust. 6. Introducing you to relatives, business partners, etc. As pointed out earlier, some scammers work in some highly organized groups. Sometimes, victims may be contacted by different people posing as the same person. More elaborate fraudsters may introduce victims to other characters posing as business partners, travel agents, lawyers, bank managers or just friends. And this usually happens too early into the online relationship. In case it happens to you, be aware; you may be dealing with a con. These scammers are always good at making promises and having excuses for not doing what they promised. They can be so elaborate that they seem believable. And then the excuses become the gateway to ask for more money. One of the most common scenarios involves the scammer promising to visit the victim. The victim is so excited and perhaps even tells family and friends about the visit by their girlfriend or boyfriend. The scammer doesn’t turn up and gives some excuse, for instance, not having enough money for passport or ticket. With hopes for a real-life meeting, the desperate victim keeps sending more money even when the excuses are getting more and more farfetched. As I sum up, it is important to note that while this list is not exhaustive, these are some of the most common tactics employed by online dating scammers to defraud unsuspecting victims. If you are contemplating finding a friend or a romantic partner online, look out for the warning signs discussed above to avoid falling victim. If you are suspecting some fraudulent activities or in case you have been conned, consider reporting the scammers first to the platform on which you met them and to law enforcement agencies. It is often advisable to report these online scams to law enforcement agencies especially when you have performed any tasks a scammer asked you to or when you have handed over monies. Could You Be A Victim Of A Romance Scam?! Are they using fake identities? Am I really speaking to a real person from the USA? To help the users of this site we have partnered with BeenVerified so you can check exactly that. This checking service reveals everything about this would be romance scammer and if they are a real person! If you have the slightest doubt about who you are speaking to… Please use this service! Romance Scams works by checking every part of a dating website available online. There are more than 2,500 different dating websites today in the US alone. But every single year, there are 1,000 new online dating services opening and based on the estimate, there are 8,000 competitors all over the globe. You probably won’t be able to check every website and determine which ones are scams and which ones are legitimate. That is why Romancscams.org is here to help you with it. Typically, we at Romance Scams check the site by its domain name. We also review the contact information of the dating website, wherein most fake dating websites only have a form where you can fill out and send to the site administrator. This kind of site has a strong indication that it is a scam since most legitimate dating sites have a contact page where their clients can contact them. Here at Romance Scams, we have built services and work based on the clients’ reviews and as well as cooperation that is successful with their respective partners. We are reviewing online dating websites to help both men and women to avoid being scammed. Romance Scams always make sure to keep you safe and satisfied with every dating websites that we review. We have a list of the legitimate sites where you can register and find a companion or a long-term partner. All you have to do is to register and start looking for the right one.